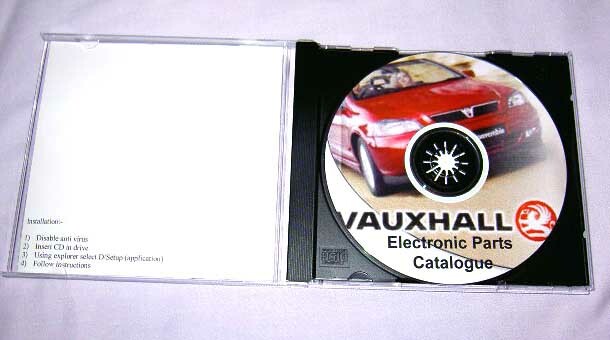 The Vauxhall / Opel Electronic Part Catalogue (EPC) is used by Vauxhall & Opel garages throughout the country in the day to day maintenance and repair of Vauxhall & Opel vehicles. This format has replaced the Microfiche sheets previously used. The information covers vehicles from about the early/mid 80's onward. This is version 2.1 dated 1997 which includes earlier vehicles which may not be available on later editions of the EPC. This CD is invaluable for identifying parts specific to your vehicle and for items used in other models/ranges. Engine sizes include 1.0, 1.1, 1.2, 1.3, 1.4, 1.5D, 1.6, 1.7D, 1.8, 1.8 16V, 2.0, 2.0 16V, 2.3D, 2.5, 2.5D, 3.0, 3.0 24V, 3.1D, 3.2, 3.6 and probably a few others! Also included is accessories section.